Ronda in Spanish Andalucia is an inland town, situated around 60 miles from Malaga to the south-east. 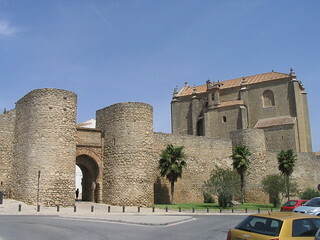 It can also be reached by railway from Algeciras and Córdoba. 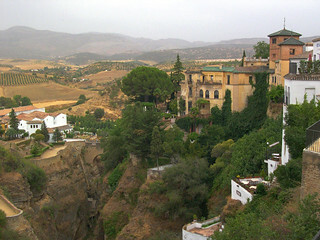 Ronda is in a very mountainous area, perched above the El Tajo canyon with the Guadalevin river dividing the city in two. It was one of the last Moorish cities to be captured upon the Reconquest of Spain by the Catholic monarchs. The Crusaders only managed to capture Ronda by cutting off its water supply. We visited Ronda a few years ago, when we were on a reccy trip to look into the possibility of buying a property in southern Spain. We felt we deserved a day off from what was a pretty boring property search around the Costas. It was a fantastic scenic drive from Malaga and we felt that it was a shame that we had not planned to spend at least one night in Ronda. Ronda is quite compact and lends itself to walking, as it combines a lovely small city environment with many different and very impressive panoramic vistas from many locations. The 13th/14th century restored Arab baths (Baños árabes, partially intact) are to be found below the city. The old town quarter (La Ciudad) was the place notaries like Ernest Hemingway and Orson Welles decided to spend many a summer at. The former based more than one story around Ronda and the latter’s ashes are buried here. 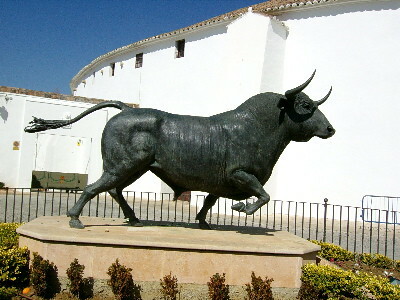 In more recent times, Giorgio Armani designed a special bullfighting costume for an event that took place in Ronda in 2009. You will invariably come across the three bridges, the Roman Bridge (Puente San Miguel), the Old Bridge (Puente Arabe) and the New Bridge (Puente Nuevo) that span the canyon. The last was completed in 1793 and is the tallest of three, standing at 120 metres. 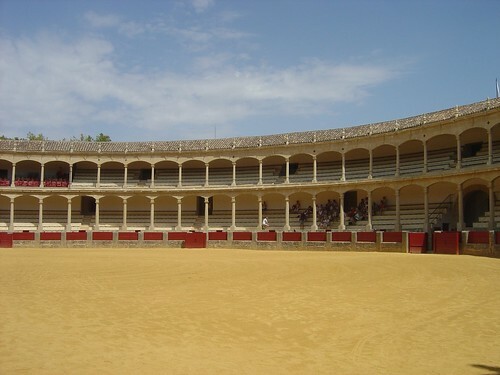 Puente Nuevo and the 1784 Plaza de toros de Ronda (the oldest bullfighting ring in Spain) were both designed by the same architect, José Martin de Aldehuela. 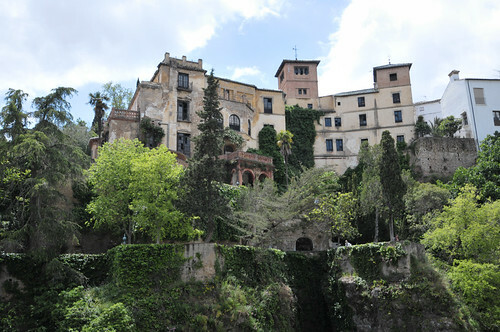 You can visit the Moorish King’s house (La Casa del Moro) with a Water Mine and its impressive garden. 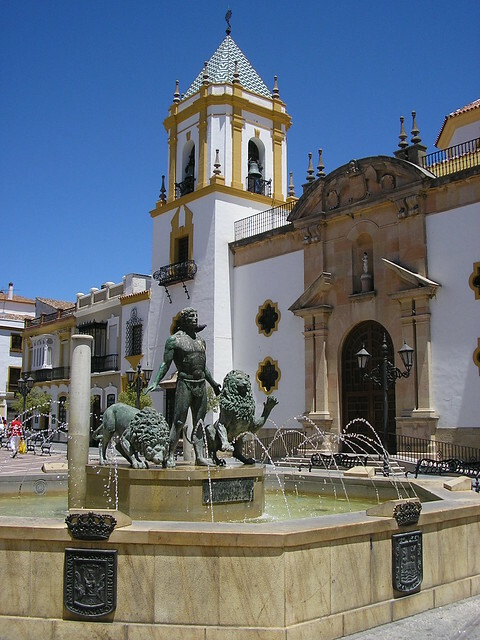 Also, Palacio de Mondragón, previously the residence of King Fernando and Queen Isabella, currently the Museum of Ronda. Spend some time exploring the White Villages (Pueblo Blanco) and the famous local wine yards.